Amazing, unforgettable tribute in red and white showing purity and love. 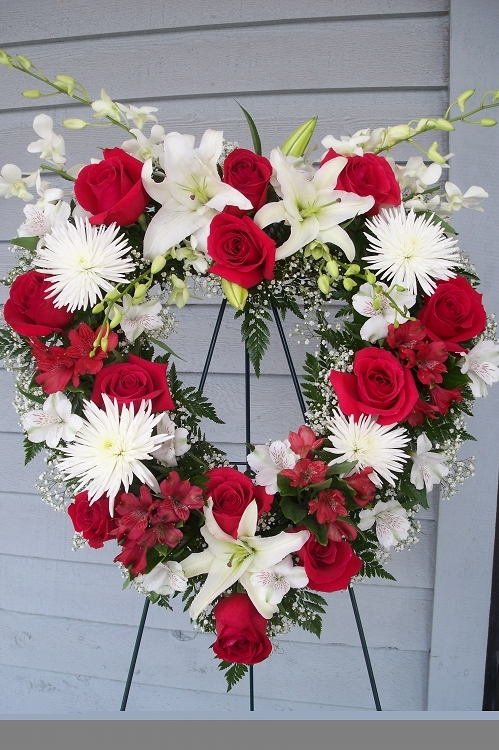 Magnificent red roses are arranged expertly among pure white Asiatic lilies by our experienced designers. The roses and lilies are accompanied by brilliant white mums and orchids as well as alstromeria.